Technology is a beautiful thing. Some even go further to say that technology is alive because it metamorphoses into something from time to time. As a wise man once said, change is the only constant thing in life. As such, it is important to keep in mind the revolution of the smartphone and how far we have come since their inception. Today, smartphones are our primary means of communication. Without a smartphone, one almost always feels like there is a part of them that is missing. As such, mobile apps have also become a part of our lives since they are the bridge to connecting with others with the same devices. As the smartphone industry continues to experience changes in design and technology, ways of creating apps have also improved. Today we have more technologies at our disposal. For businesses, mobile apps have never been on demand as they are now. Today, every reputable business is embracing mobile apps to not only interact with their clients, but to make work easier by increasing efficiency. As of now, there are two major platforms in the smartphone market; iOS and Android. There are others such as Blackberry and Windows Phone, but these platforms do not have as many users as the big two. Apps can be used as a marketing tool where you can use push notifications to market, use hardware in devices such as GPS to maximize on location-based marketing and so much more. 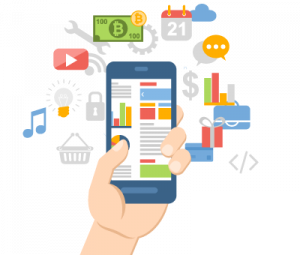 As such, let’s look at modern technologies used in mobile app development that not only help your business stay ahead of the curve, but also give your clients the best experience. As previously mentioned, mobile apps are the best way for interacting with clients on mobile devices. However, with the different operating systems available, developers have come up with a way to kill multiple birds with one stone. That is known as cross-platform technology. Instead of building apps for each of the platforms mentioned above, we use the best cross-platform development technology to create a one-fits-all kind of application. This avenue allows developers to create one source code which is then converted into code for the native environment; IOS, Android, etc. This is not only cost-effective for your business since you do not have to hire developers for each platform, but also maintenance is also low. Presently, everyone knows about the cloud and how vital it is to businesses. Cloud technology has found its way to mobile apps and it is here to stay. Our developers have mastered the art of using cloud integration. This allows us to develop apps that perform faster while using fewer resources; hence giving a great user experience. Cisco research has revealed that by 2019, 90% of all mobile traffic will come from cloud apps and cloud traffic will increase exponentially at a rate of 60%. Security on mobile devices has never been as critical as it is today. With the amount of personal information housed on our devices, it’s best to use a firm that understands and develops mobile applications with security in consideration. Apart from using the latest technology to ensure that your information is safe, we also check for and close all known security gaps. It’s well known that 75% of mobile apps can’t pass a basic security test and 70.6% of apps can access device’s internal storage; don’t let your app become one of those begging to get hacked.